Every year spring time means two things: spring seasonals and Barleywines. 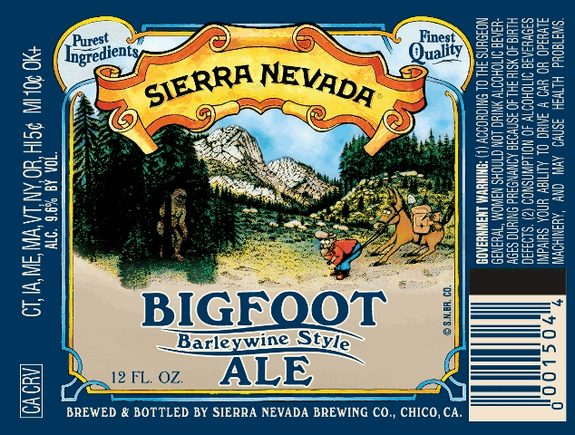 One of those Barleywines that always gets the attention of beer aficianados is BIGFOOT BARLEYWINE from Chino, California’s Sierra Nevada Brewing Company. Oddly enough this was the first time I had sampled Bigfoot in the several years that I have been a craft beer fan. Bigfoot is an American Barleywine with 90 IBUs and a hefty 9.6% ABV.